Wednesday 13. February 2019 - A high performance CL 1000TX triplex laminator commissioned at the end of 2017 is providing the very latest laminating technology for production of high performance packaging material laminates at the manufacturing plant of Bischof + Klein SE and Co. KG in Lengerich, Germany. The family-owned Bischof + Klein Group, can boast an experience in business and in the development and manufacturing of packaging materials that dates back over 125 years. Today, they are firmly established as one of the largest European manufacturers of industrial and consumer packaging as well as technical films, providing a full service from repro services through to printed and converted products. As well as Lengerich, which is the Group headquarters, there are production facilities also in the South of Germany, in France, Poland and the UK, and a network of sales offices spanning the globe. The CL 1000TX is their first BOBST laminator. “We needed a new laminating machine to add capacity to cater for the expanding demand”, explains Frank Neumann, Technical Manager at Bischof + Klein “The technical solutions and performance of the CL 1000 and our positive experience in working with BOBST for the installation of their REGISTRON register control system on two gravure lines from different manufacturers were bearing factors in the choice we made”. Some twelve months after the machine entered production, Bischof + Klein is very satisfied with the way the new laminator is meeting their expectations and gives credit to the quality of BOBST laminating technology. 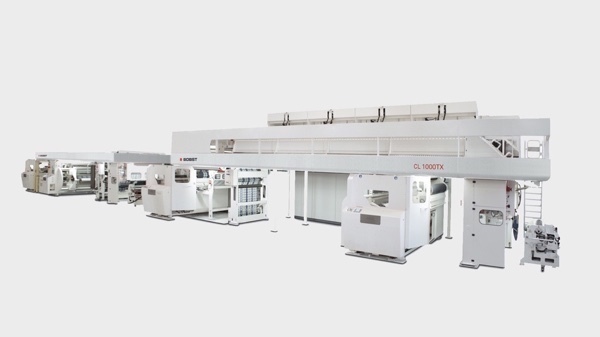 Their CL 1000TX is designed to handle a wide range of different substrates and web combinations for the production of the high performance packaging solutions produced by Bischof + Klein which are mainly destined for the food, coffee, and beverage industries. The line is configured for laminating the first two substrates with solvent-based adhesives coated using the unique flexo coating trolley designed by BOBST, followed by solventless lamination to complete the production of three-layer laminated constructions in one pass, at high speed and achieving consistent product quality performance. Aspects of the machine performance that particularly satisfy the quality and sustainability guiding principles of Bischof + Klein corporate commitment are the efficiency of the drying tunnel and its ventilation system and the flexo coating trolley. The flexo coating trolley, enables Bischof + Klein to coat high performance adhesives directly on the thinnest alu-foil, at high speeds. The trolley works with higher viscosity adhesives (compared to alternative coating systems), and thanks to the action of the smooth roller that improves the uniformity of the adhesive distribution over the web, it allows to apply a lower coating weight to obtain the same bond strength. This generates significant savings in both adhesive and solvent costs. The advantages of the flexo coating trolley combined with the efficiency of the drying tunnel equipped with double technology nozzles blowing air on both sides of the web to minimize solvent retention on the web, enhances further the performance level as well as saving on energy costs. 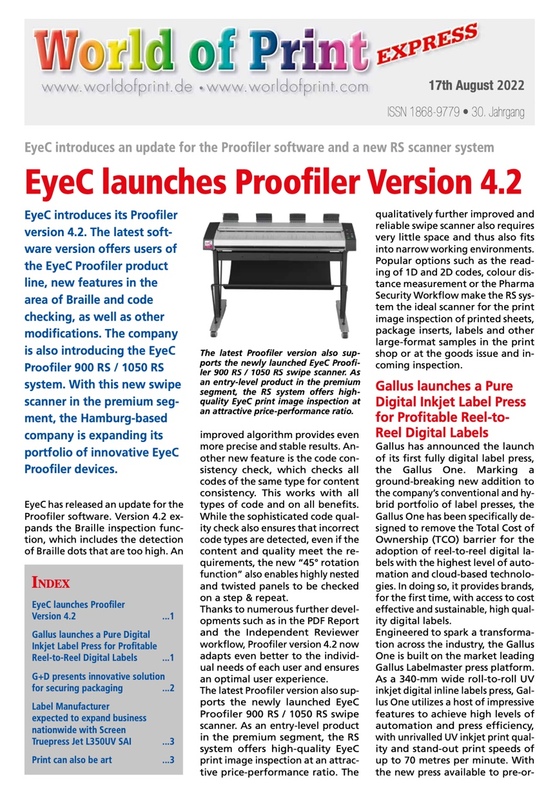 “The BOBST flexo coating technology has proved as valid as its reputation in terms of improving the optical quality and visual appearance of our packaging structures”, commented Holger Weßling, Bischof + Klein Production Manager. “We develop solutions for our clients that must combine the best substrate functionality in terms of protection of the packaged product with the most eye-catching original graphics, something that requires superior process capabilities. For example we can achieve an outstandingly good optical quality of a special application which requires coating a gold pre-colored adhesive”, he concluded.